The story of Pete Atkin and Clive James, who have shared a partnership in songwriting for half a century, with Clive supplying the lyrics and Pete the music. 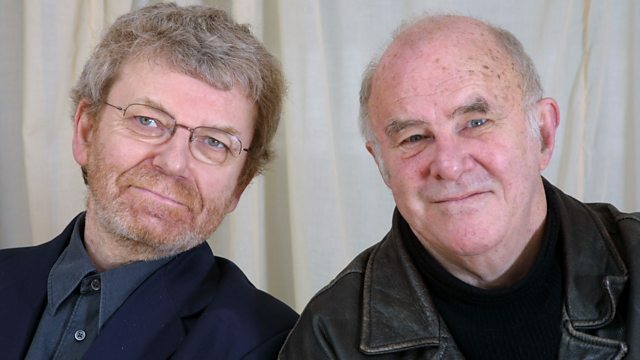 Pete Atkin and Clive James have shared a partnership in songwriting for half a century since their University days in Cambridge, creating an archive of 300 or more songs known for their intellectual ranking. In this programme, we hear revealing and personal reminiscences from Pete and Clive today as they discuss how it all began, the differences between writing poetry and song, and their thoughts on the future of their songs. Friends and colleagues contribute a personal insight into this unique pairing, considered to be masters of their craft by Stephen Fry, Bruce Beresford, Daniel Finklestein, Simon Wallace and Russell Davies.